Bow Thayer & Perfect Trainwreck opened. This tour-opening gig feautured the first performance of the Mike Gordon touring ensemble of Scott Murawski, Craig Myers, Tom Cleary and Todd Isler. 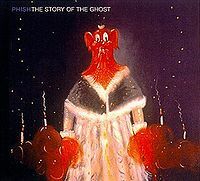 Every song in this show was an original or cover debut except "Cruel World" (Max Creek) and Ain't Love Funny" (J.J. Cale): Mike Gordon originals "Another Door," "Traveled Too Far," "Voices," "Andelmans' Yard," "Dig Further Down," and the Phish original "Meat," "Kryermaten" (Todd Isler), "La La La" (Tranquility Bass), "The Walls of Time" (Bill Monroe, Peter Rowan), "She Said She Said" (The Beatles), and "The Time for Loving Is Now" (The Mustangs).